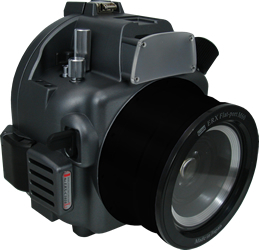 Introducing the new Epoque underwater SLR Digital camera housing for Canon Rebel T3 / EOS 1100D. The Epoque ERX-C1010-X50 housing will operate most of the functions on the Canon Rebel T3 / EOS 1100D.) There are 4 interchangeable ports available for using the most popular lenses. A Zoom-port, two Macro-ports for the EF 50mm and EF 100mm macro lenses and two Dome-ports for wide angle and fisheye lenses, will be available for capturing every type of underwater subject and scene.